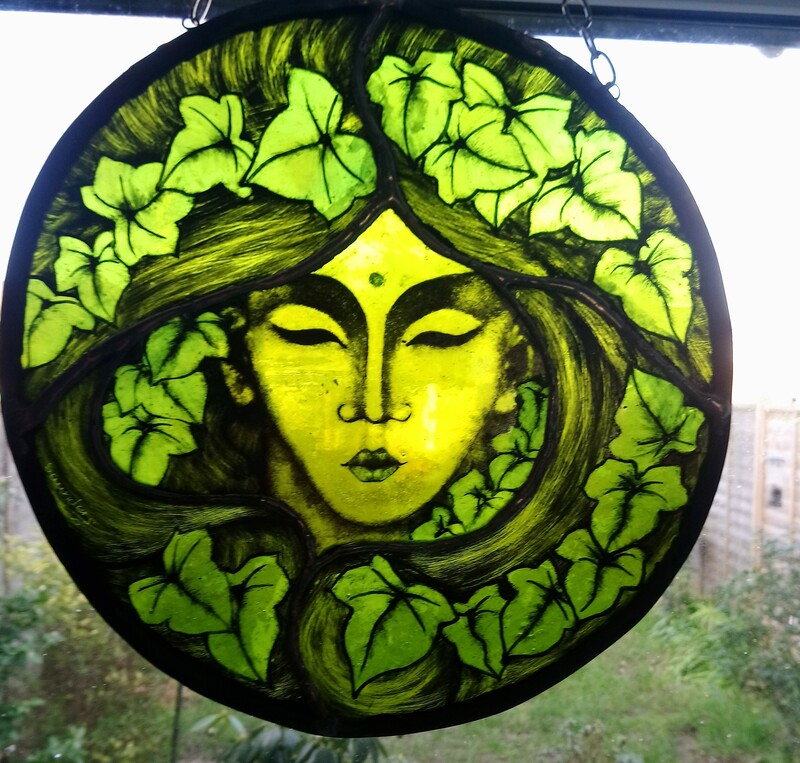 So far adminad has created 10 blog entries. 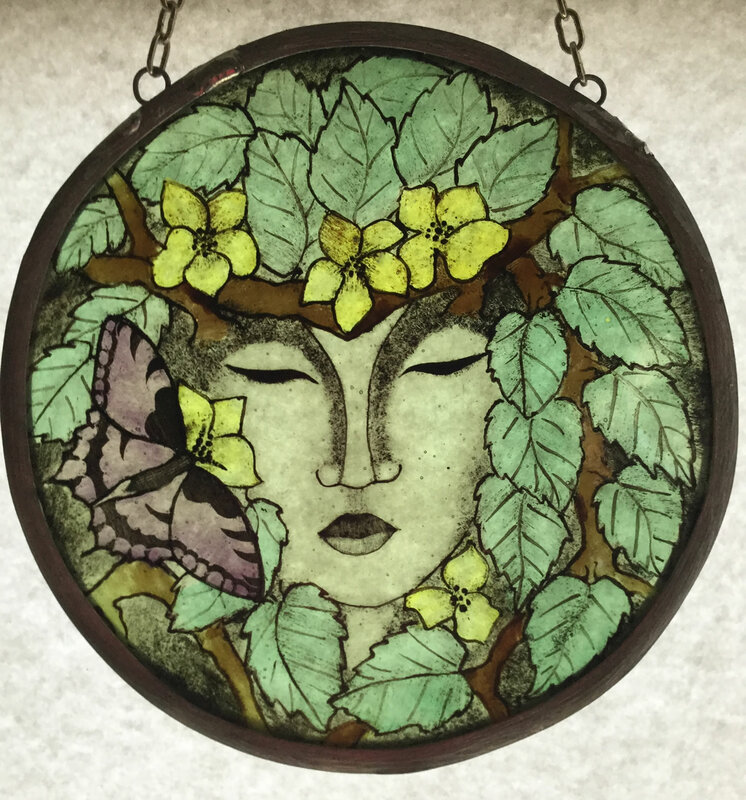 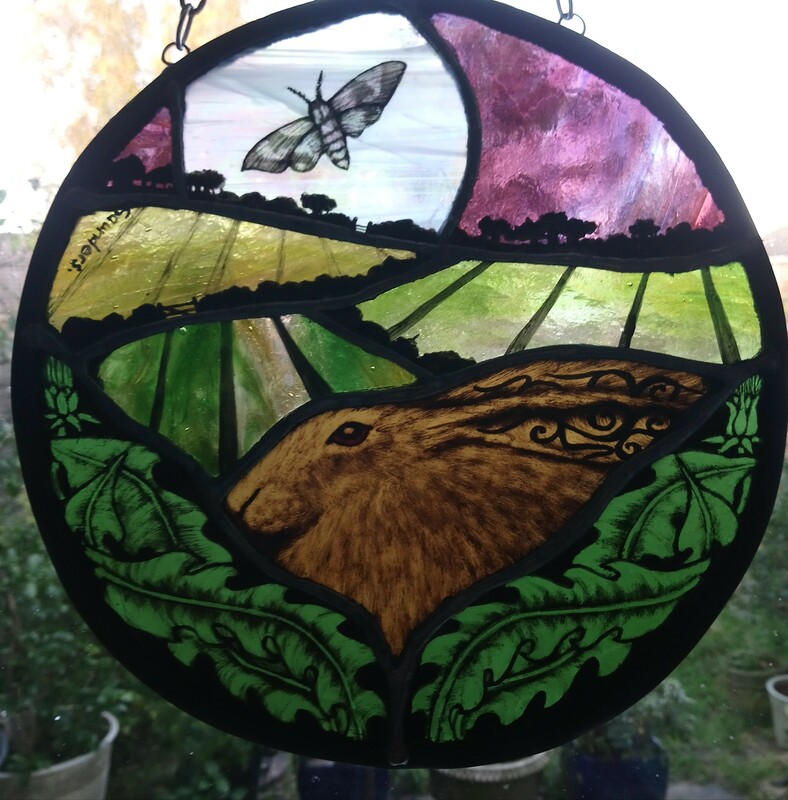 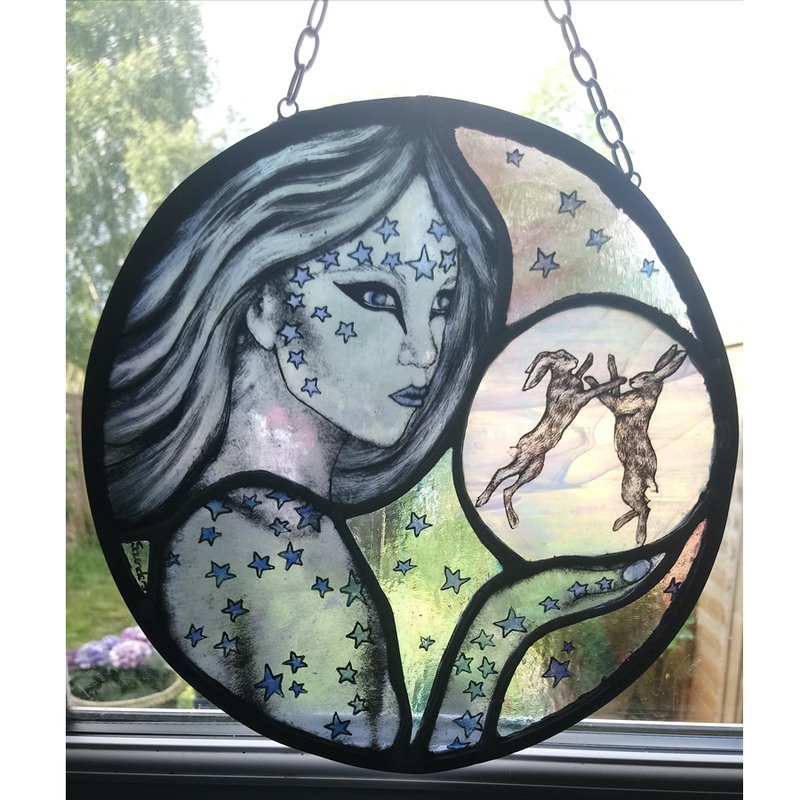 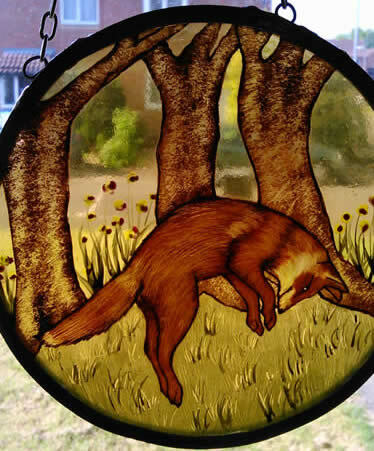 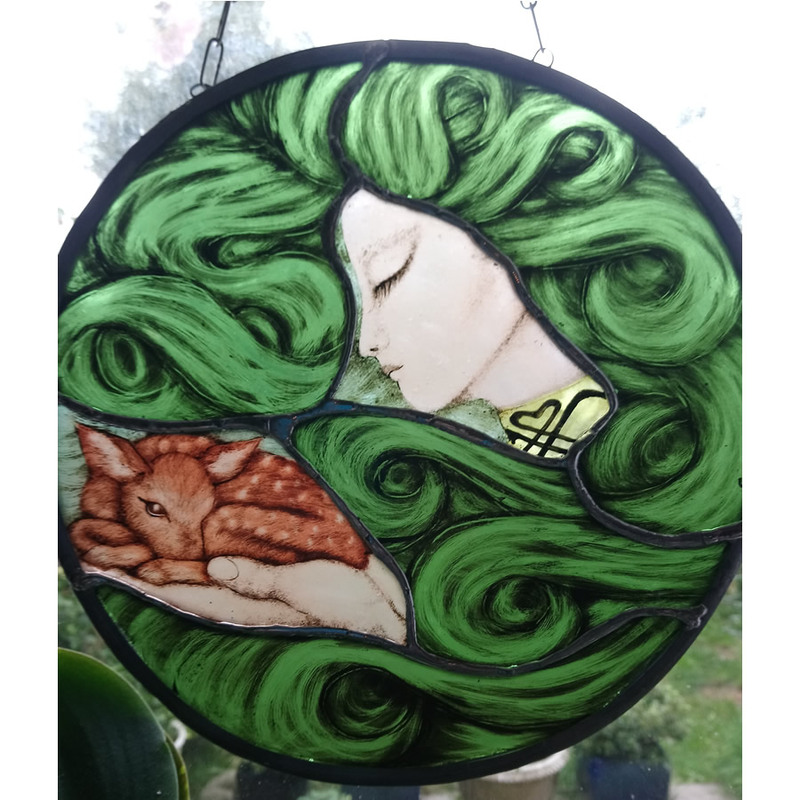 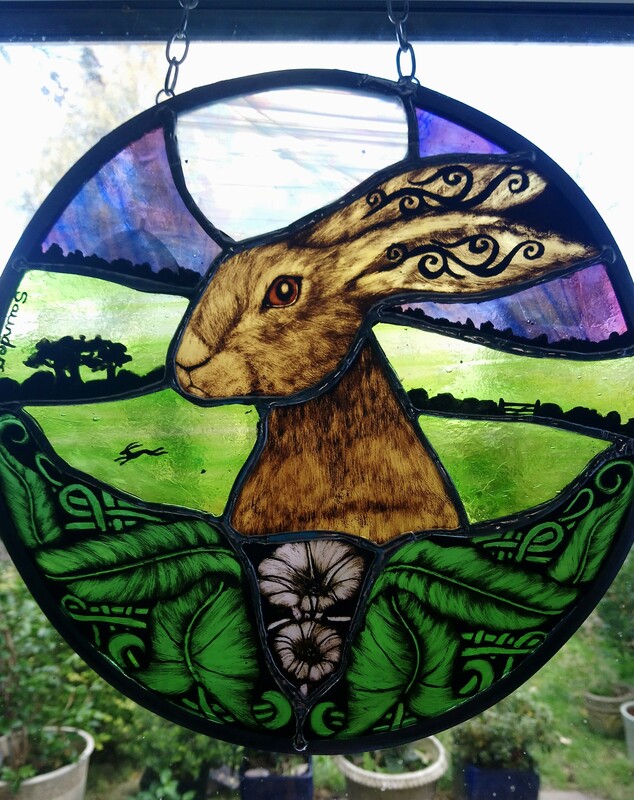 Hand made and hand painted then kiln fired traditional leaded stained glass Spirit of the Hare panel . 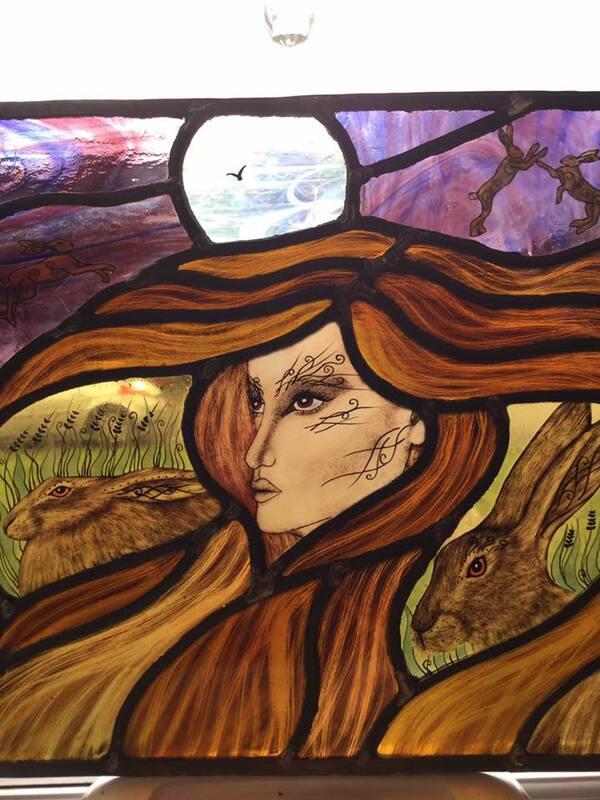 The guardian lady of the Hare watches over all Hare's seen here 2 hare's protected by the flow of her hair , while other play around her .